This porperty offers unparalleled hospitality with Three-Bed roomed apartments. 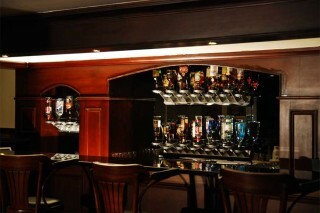 The Executive rooms are fully furnished using mahogany, air conditioned and have cable TV. The Apartments are of perfect convenience to families who plan to have an extended stay in Cochin. The centrally air conditioned rooms provide exemplary view of the surrounding countryside and river. 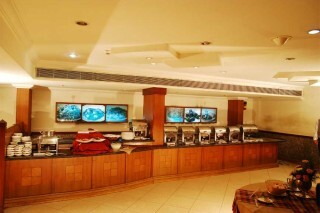 The food needs of our guests are catered through two multi-cuisine restaurants namely DCBC and Chimes. Details on our facilities are in the facilities page. Amidst peaceful and serene surroundings on the banks of the picturesque Kaniyampuzha River and strategically located between the airport and city, This is a deluxe property offering beautiful facilities minutes from the city center and tourist spots. Riverside Entertainment Facilities The Angler's Grill is the perfect venue for entertaining and hosting events such as wedding parties and other family occasions. A variety of tempting buffet menus together with exquisite drinks and juices will make sure that you have an unforgettable waterside experience. You might be wondering what facilities we provide makes this property unique. 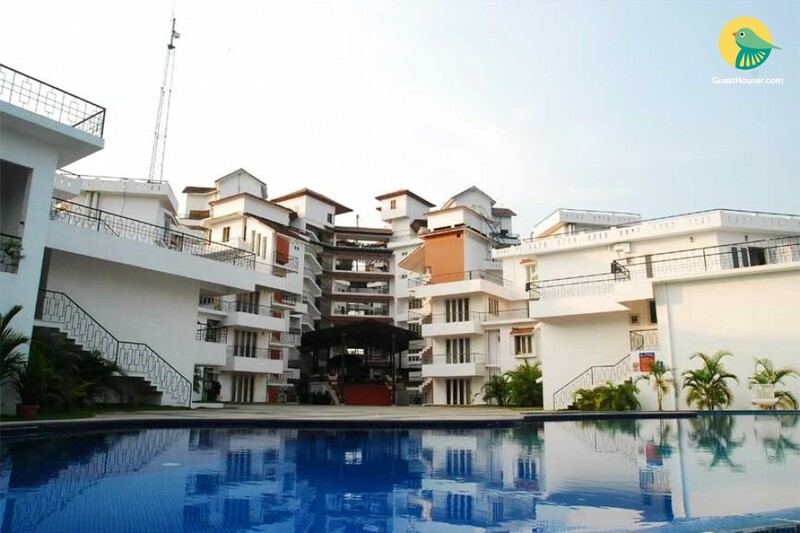 Well, here is a small list of facilities we provide at this place, Kochi. Go through it and know the answer outright. Facilities - Centralized Air-Condition. 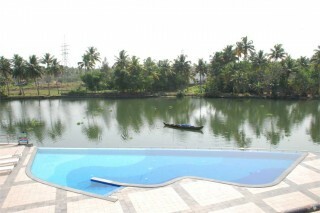 Fresh Water Swimming Pool overlooking the scenic river side. 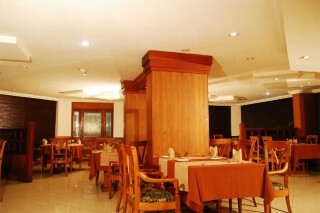 Chimes - a renowned Multi-cuisine restaurant. 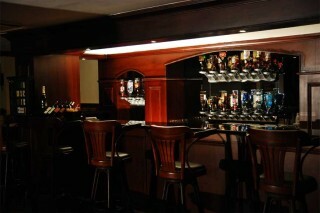 Bar with live music programmes. Riverside dining facility. Business Centre. Banquet/Conference Facilities. A unique instant online booking facility. Ayurvedic Health Care Centre Gymnasium. Private Boat Jetty. Travel desk. Round-the-clock room service. Ample parking space for vehicles. Safety deposit locker facilities. Cable T V including various international channels. Elevator to all floors. Doctor on call. 24 Hour Reception. Currency exchange facilities. All major credit cards accepted. Total power back up.